Why is it that whenever I pick up a book and start reading and losing myself in this other world I just smile and feel all warm and fuzzy inside. I just feel happy. TV has gotten in the way of reading but I am trying to just ban TV shows for a few hours and spend them with a book maybe that will help me regain that sort of aloof feeling and happy one. What about you? Do you have certain reading habits? Do you like reading to begin with? I personally try to read historical romances just because I like to get lost in that world. I don’t really need dark, deep fiction, or books that will teach me stuff. I find myself more enjoyable with my favorite genre. P.S. When I read I imagine myself as living there, dressing as they dress, and interacting as the others do, hell I imagine myself the heroine sometimes if she’s not too whiny! I have missed writing thoughts and feelings in my blog as a way of venting out emotions and all that jazz, right now most of my friends know about this blog and pretty much I have lost a sort of anonymity I had before so I can never share too much of myself as I did in my earlier years. I recently started keeping a separate blog as a journal, diary of sorts just to share my deepest thoughts. And ironically I find myself writing more there than I would here. Could it be that all this commercialization of blogging made me lose my voice? I seem to also be a bit more active on Instagram with my TV Impression posts than I am here, would reposting them here make a difference? Would others wish to read them instead of going onto my Instagram account. 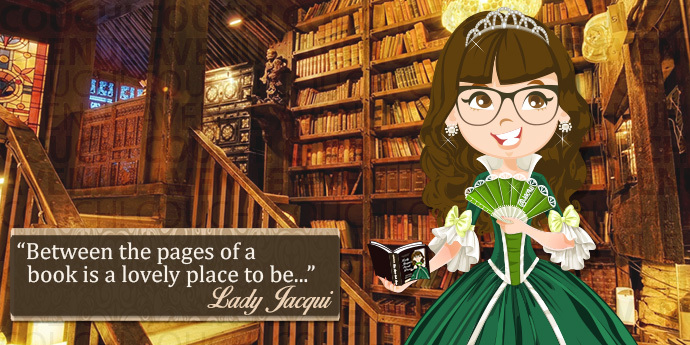 I don’t know, I don’t know who I am anymore, I am Jacqui but not fully Jacqui maybe I have a new personality or persona emerging from all this. I started out as “Jackie” a kind sweet natured girl and later on I discovered I had an evil naughty fun side which morphed into “Jacqui” now I guess I am a boring version of myself? I’m a Genie in a Bottle, Let ME OUT! I miss talking, I miss letting out all my worries and just blabbering it to my closest friends. Lately I feel as if I am bottling up all my emotions and its getting harder to just talk about anything that is wrong. I seem to have also developed a filter in me that doesn’t allow me to show any weakness or talk about anything really, do you guys experience it? It’s like if there is something really bad happening I would rather bottle up so I don’t hear some unwarranted advice or something that hurts because I alone have the entire facts of the story. For example, I am not at all happy where I am at in my work life, going into the government sector was an insanely bad decision but helpful to learn from, I don’t regret that part. But I don’t feel comfortable with some comments that say: Use the time to start a small business, study, or stick it out. I feel as if I am dying creatively and the only way I can think of amending that would be by getting on my blog or instagram and just letting it out. Some might suggest I should turn my blog into a business, that would be smart but I am doing this out of love for the thing it’s a hobby I feel if I were to turn it into a work discipline thing then I will immediately start to hate it and feel confined. Sometimes I feel that my brain is sabotaging me, I freak out and get anxious on the littlest things. Especially things that I know quite well myself I just feel as if I am underqualified when most times I might have more to offer than others. 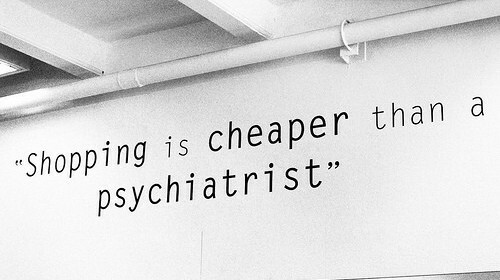 It’s a psychological thing for me and always has been. It’s exactly like how when I work out and diet for a few months lose some weight and someone comes up to me and says “Oh wow you lost weight, looking good!” I take that as a cue to start eating junky again and I gain what I lost and more. I have no idea why I do it, I just do. Maybe I’m sick in the head! Anyways I just wanted to let this out! There are parts of the year where I start to feel down and wish for a new gadget or toy to lift up my spirits, more than often it is tied with work and the happenings that go there or any family drama if there is any. I seem to be having this issue as of late and I keep wanting to get something new to lift my spirits but even with that purchase I seem to feel the same way. Not only do I still feel a bit down, I don’t unbox or use the gadget until weeks later and that basically in my point of view defeats the purpose of retail therapy shopping. You see lately I wanted to spend some cash but the moment I see something I don’t feel that it’s a MUST HAVE. I also don’t feel any better. I’ve become good at masking some emotions and feelings and keep things bottled up but sometimes I just want to explode and let it all out. I know pretty much everyone feels that way so don’t deny it. When you are feeling down, what do you do? Lately watching American/British/Canadian TV Shows seem to be the only cure sometimes but even those I am behind, I am way behind in a couple of shows I need to clear out my queue!